In addition to the comprehensive ophthalmology services we provide, our practice features an optical center with a wide array of eyeglass frames and contact lenses to suit every look and budget. 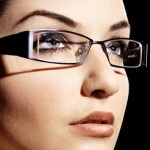 Patients can choose frames from many elite designers, as well as stylish yet affordable alternatives. 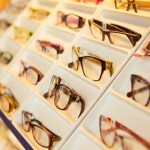 In addition, we carry a full line of frames for children and teens and a great selection of athletic eyewear. Our convenient on-site location eliminates the hassle of having to take your prescription to another location in order to fill your vision correction needs. When visiting our optical center, patients will be seen by one of our experienced opticians, who will help you decide which frames are best for you. Many factors are taken into consideration, including your personal style, the shape of your face and your coloring. We offer a tremendous variety of eyewear from top quality designer and fashion manufacturers to fit every style. 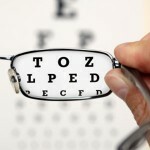 Monovision lenses are another way to correct both nearsightedness and farsightedness if bifocal lenses aren't comfortable. With this solution, the lens in one eye corrects your near vision and the lens in the other eye corrects your distance vision. Our full service optical boutique is open Monday-Friday from 9 a.m. - 4:30 p.m.
Walk-in customers and new patients are always welcome in our optical department! No appointment necessary.